Buy this item and earn 187 ClubPoints. easily add two screens, a full-sized keyboard and mouse, external hard drives, printers, webcams etc. 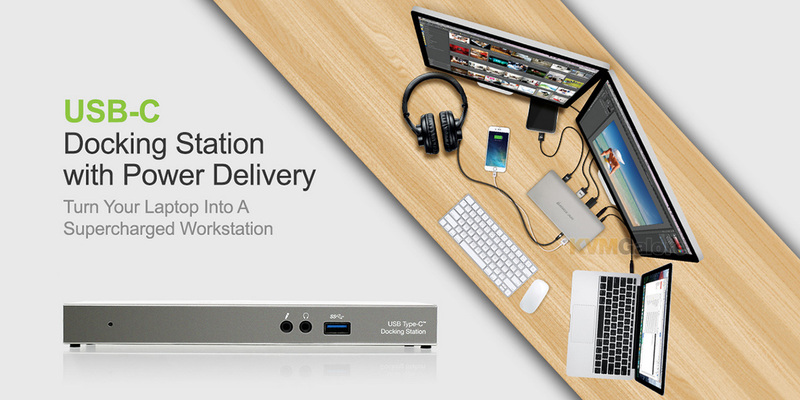 IOGEAR's USB-C docking station with power delivery is the perfect complement to your USB Type-C laptop. 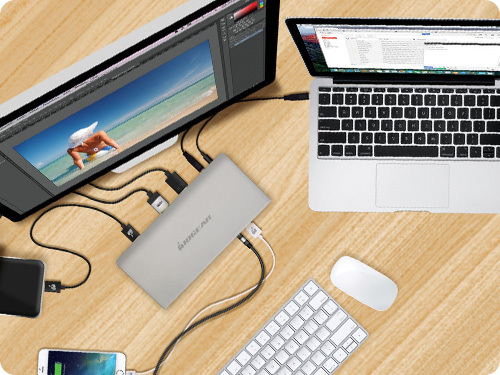 This all-in-one dock delivers a total of 10 ports in a unit designed to instantly connect and disconnect from your USB-C laptop through a single high speed cable. 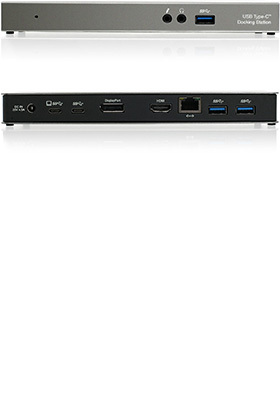 Featuring DisplayPort Multi-Stream Transport, USB 3.0 connectivity, HDMI, audio and Ethernet connections, this full-featured USB Type-C dock allows your laptop to perform like a desktop. While connected, IOGEAR USB-C docking station will charge your laptop through the USB-C power delivery functionality. An AC power adapter is included. What is DisplayPort Multi-Stream Transport (MST)? 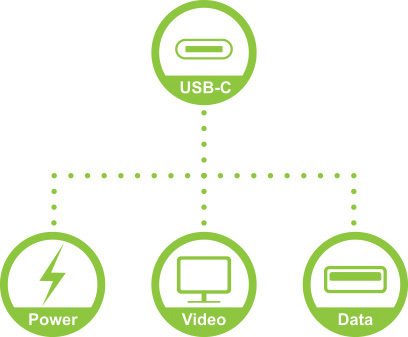 DisplayPort Multi-Stream Transport (MST) technology allows you to connect multiple displays together using a single DisplayPort connection. This technology grants portable devices multi-display capabilities without all the bulk of a desktop. Link multiple displays for a completely immersive gaming experience or create a multi-monitor setup for increased productivity at work***. Increase your productivity with MST: Browse the web on one screen, edit a document on a second, and write an email on a third. The dock is versatile enough to accommodate nearly any task, making it ideal for business professionals, students, and gamers alike. Crafted from specially machined stainless steel, the USB-C docking station brings together a clean, sleek design with premium durability to withstand day-to-day use. The body's solid construction is well-balanced and includes anti-slip grips to ensure that the dock remains safe and in place. Its multi-functional design is compact enough to seamlessly integrate into any desk space and minimize visual clutter. Innovate, create, and optimize your productivity with a workstation tailored to meet your every need. 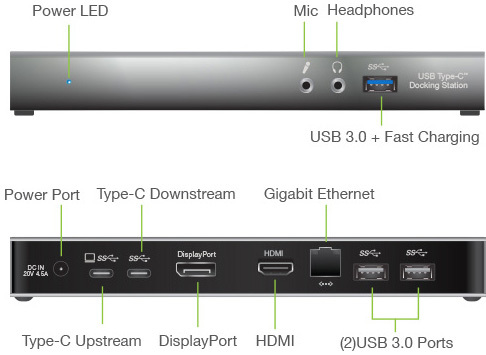 • Integrated 3-port USB 3.0 hub for external USB drives, cameras, smartphones, etc.